16TH FLOOR CAMELBACK MODEL. 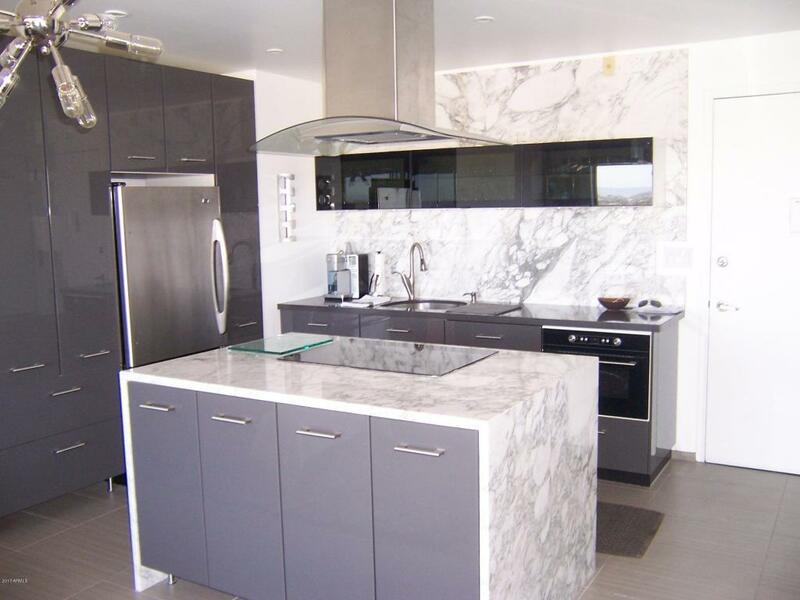 THE OWNER IS AN ARCHITECT AND YOU WILL APPRECIATE THE ATTENTION TO DETAIL THROUGHOUT THIS UNIT. THE FLOORING IS 12''X24''TILE. NEW KITCHEN/BATH IN 2013. KITCHEN HAS BIANCO MACABUS QUARTZITE COUNTERS AND BACKSPLASH, NEW STAINLESS APPLIANCES, ISLAND COOKTOP WITH HOOD, BUILT IN MICROWAVE. 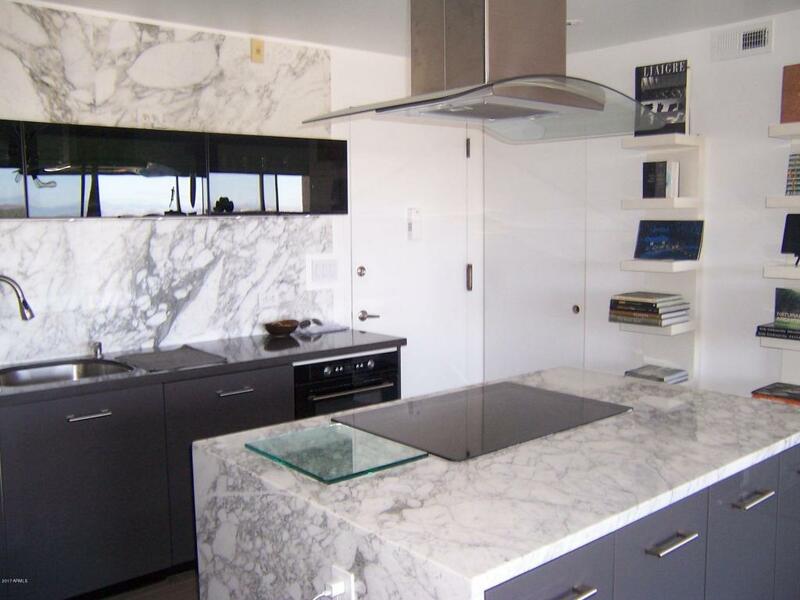 STAINLESS SINK AND PANTRY CABINETS. BATH HAS QUARTZITE VANITY, TILE SHOWER, WALL HUNG TOILET, TOTO SINK AND GROHE FAUCET. BUILT-IN ENTERTAINMENT SYSTEM WITH QUARTZITE SURROUND AND DRY BAR. BUILT-IN DRESSER WITH MODULAR CLOSET SYSTEM IN BEDROOM. SLIDING POCKET ROOM DIVIDERS. LED LIGHTING IN ALL AREAS. 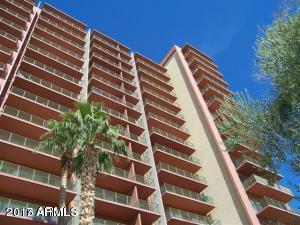 180 SF BALCONY HAS VIEWS OF CAMELBACK, SQUAW PEAK AND THE NORTH MTNS. 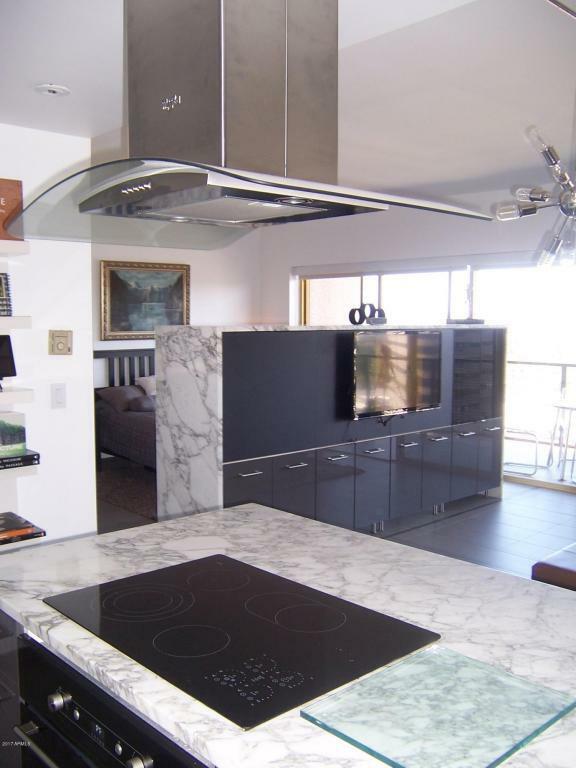 THIS UNIT ALSO INCLUDES 1 PRIME LOCATION ASSIGNED AND DEEDED 1ST FLOOR PARKING SPACE IN THE SECURED UNDERGROUNDGARAGE. LANDMARK TOWERS AMENITIES INCLUDE 24 HOUR-A-DAY CONCIERGE SERVICE. YEAR-ROUND HEATED POOL, RESIDENT CENTER WITH FULL CATERING KITCHEN FOR LARGE PARTIES, 18TH FLOOR ROOFTOP SKYLOUNGE WITH GAS FIRE PIT AND UNPARALLELED VIEWS OF THE CITY AND SURROUNDING MOUNTAINS, FULLY EQUIPPED GYM, BUSINESS CENTER/LIBRARY, WI-FI, MEDIA ROOM, AIR CONDITIONING, HEATING, WATER, SEWER AND SO MUCH MORE. YAMA SUSHI IS ONSITE, HULA'S AND FA'ME ARE NEXT DOOR. UNIT IS OCCUPIED.